A Florida sheriff has reportedly launched a death investigation after a large exotic bird — bearing dagger-like claws — attacked and killed its 75-year-old owner. Marvin Hajos bred the cassowary, a huge flightless bird that resembles an emu, that eventually killed him after he fell on his farm Friday near Gainesville, authorities said. The San Diego Zoo call the endangered cassowary, which stands up to 6-feet tall and has long claws, the world’s most dangerous bird. Hajos’ death is being investigated by Alachua County Sheriff Sadie Darnell, the Gainesville Sun reports. He was identified Saturday. “Initial information indicates that this was a tragic accident for Mr. Hajos and his family,” department spokesperson Lt. Brett Rhodenizer told the paper. The Sun reported speaking to a woman at the farm who said she was Hajos’ fiancé. “He was doing what he loved,” she said in a brief interview. 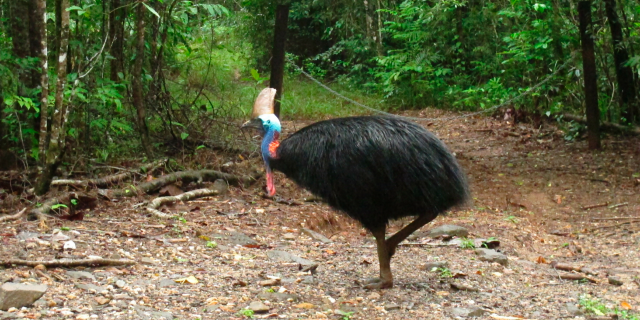 Cassowary owners need permits to own the birds under Florida law, the paper reported. To obtain a permit, the Florida Fish and Wildlife Conservation Commission requires cassowary owners to have “substantial experience” and meet specific cage requirements, spokeswoman Karen Parker told the newspaper. Previous articleMueller, and the A.G. based on Mueller findings (and great intelligence), have already ruled No Collusion, No Obstruction. These were crimes committed by Crooked Hillary, the DNC, Dirty Cops and others! INVESTIGATE THE INVESTIGATORS!